Easily insure multiple rental units and blocks of flats on a single landlord insurance policy. Get an instant quote and start cover online. In fact, this is the only place in New Zealand where you can insure your block of units online. Our multi-unit rental policy provides cover for the important events such as fire, earthquake, flood. 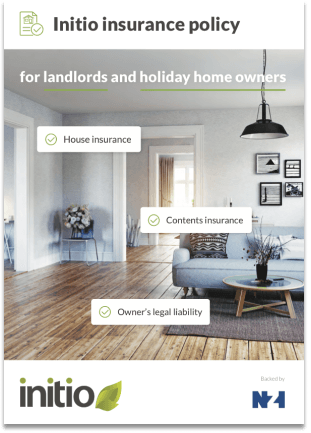 The policy also provides protection against landlord nasties including damage by your tenants, loss of rent, meth damage, landlords contents, and landlords liability. Initio is the insurance provider to members of the NZPIF. We created our multi-unit insurance policy with professional property investors in mind. We use technology to make insuring blocks of units easier than any other insurer in New Zealand, and because of this we pass premium savings onto you. We are all about the digital experience so that means you receive an instant certificate of insurance and the freedom to change your multi-unit policy anytime through your personalised dash. Most importantly, you can make and view claims directly from your dash. It’s a collection of residential units under the same roof. These are sometimes referred to as a block of flats or a block of units. Work out whether your property is a multi unit or not. Its an insurance policy that provides protection for multiple rental property units in one go. Multi unit insurance provides cover for the entire block of units, based on your selected insured value, and also provides landlord insurance benefits including loss of rents, landlord contents, deliberate damage by tenant, meth and more. Learn more about insuring multi unit property. b. a two story house with one tenancy upstairs and another downstairs. Both or these can be insured on a multi-unit policy. If the houses are completely separate from one another then they will need to be insured individually as rental properties. The Earthquake Commission has defined multi-unit buildings several ways. These are often a singular building with several dwellings within it (such as an apartment block), a mixed-usage building (such as a residential flat above a commercial warehouse), or two or more dwellings that are connected by party walls or a carport. Learn more about how the EQC treats multi unit properties.